If you have a lot of inners, then they will be stronger than subschool meridians. If not, subschool meridians will be stronger. Can you please explain this further? Do you mean you have to max all in-school inners? Just max inner 6? Additionally, there was a rumor going around that 6th inner removes school betrayal options (so no more betraying for merids). Is there any truth to this? I already made a post regarding the hidden meridians, so check that out first. if you have more questions afterward, you can ask me then. Then its not worth it, since most of us doing it the cheap way and keep betrayin schools up to now. We have no school inners anway. You probably have no idea how strong jianghu yin/yang is. 2/3 of that would still be insane, and it's also somewhat free (time cost, ofc). In short, like Louyang said, even if u have the 2 new meridians open from inner 6, it still weaker than sub meridians if u dont have enough inners max. So the reason I said it not worth it is not bc those meridians are weak, but bc most ppl keep betraying schools so they have very little inners max in their character. for jianghu meridians and hidden meridians, the more inners (any inners such as school inners 1,2,3 or subsect inners) u cultivate, the higher stats (melee , internal power, HP,...) those meridians will give. Correct me if i am wrong. Thats what Louyan meant i guess. And I have both yin yang meridians open so there's that. Think about this, to open hidden yin/yang, you need 1 6th inner at KYOC, which is 122 inner pts. You need 2 factions at almost capped, which is close to that number. Depend on which attribute you pick, you will have either 1 attribute with 3xx inner pts or balance between the two. Since you are going for meridian for sub schools, and say you plan to use hidden meridians, you will have at least 6 sub schools inners lvled to open 216 accupoints. Count those inner pts in and you will have no less than 700, which about 150 melee / 150 internal / 150 range and +1000 base hp and +1200 extra hp. Again, all of this is free compare to jianghu. It grows even more for people with 1 or few jianghu inners, sunflower or star vortex. I'm sure this takes time, no doubt. But it's definitely worth it. See , the difference is really low between them , i cannot talk about the amount of cultivation need to lvl them , but talking about just items , both are the same things , but for example it changes , for example Blood Blade Clan have a low drop rate of certs , so could be more easy get school certs than these etc etc . So it's about what the player really want build in his char more than worth or do not worth talking about items/liangs spent on items. You need to make the content of the course work and coordinate it with your supervisor. Read - "How to make the content of a term paper." Also read the article “How to make a thesis plan” and, by analogy, make a course plan (in fact, the coursework is the same thesis, only less than 3 times in volume). In the course work should be at least 2 chapters. In each chapter, 2 - 3 paragraphs. Standard coursework is 25-30 sheets. Therefore, keep in mind that the topic will not open widely enough. The plan should contain highlights on the topic. - Sub inners only increase cap, school inners need to cultivate from level 1, so my guess is it faster to max sub inners. - When max both sub inners and school inners will have the same title. Therefore, I see no reason to waste time, money to level up an inners that you have no use for meridians and likely not the inners either. That's exactly what I was thinking. I saw the quantity of items to get full school 6th inner and...D A M N...really...? More than 3000 school certs is just madness. Besides that, CN servers increased the cap for 6th inners, so they are lvl 64 now...which means: MORE GRIDING. It's not that spying, patrolling and school war aren't that fun at all, but that insane amount of certs really pisses me off. I don't care about shaolin 6th inner and when dharma sect launches I'll stick myself there. I dont believe this. Age of wushu is always full of people spreading fake rumours. 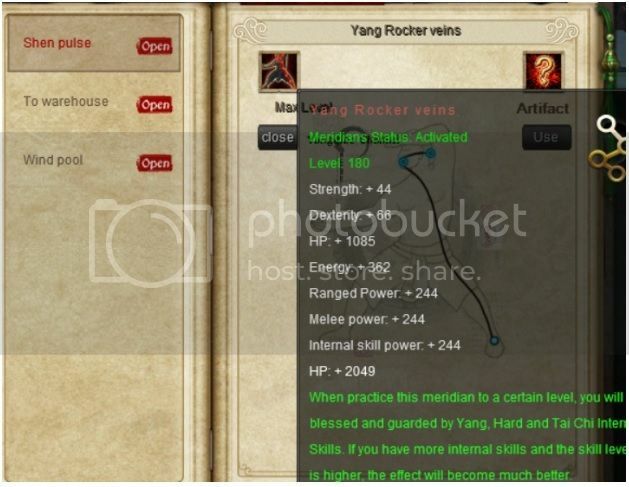 Untill someone show some hard evidence/screenshots that school 6th inner can reach level 64 in the future, do not believe this. Anyway, for 6th inner to be able to go higher level, it means that jianghu inner and subsect inner will also be able to reach higher level and t8 gear to keep up with stats so again, 6th inner lose to subsect inners.